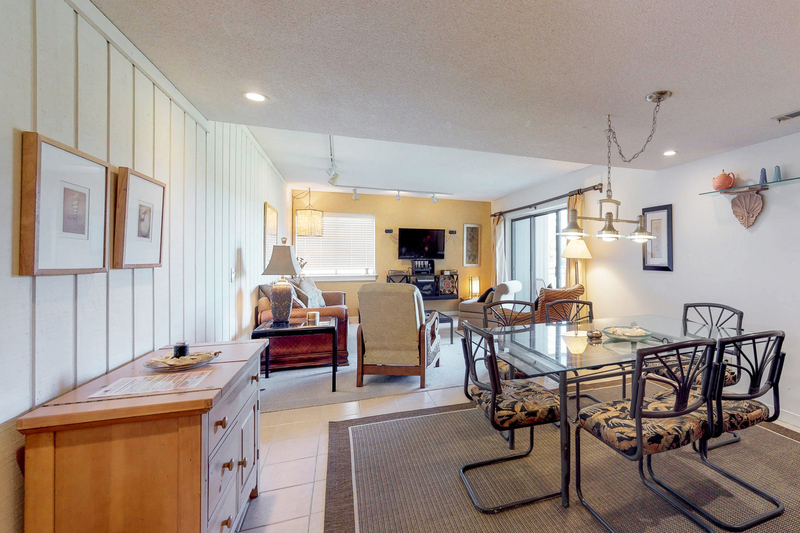 This beautifully decorated second floor villa in Plantation Club backs up to one of the fairways on Sea Pines' Heron Point Golf Course. 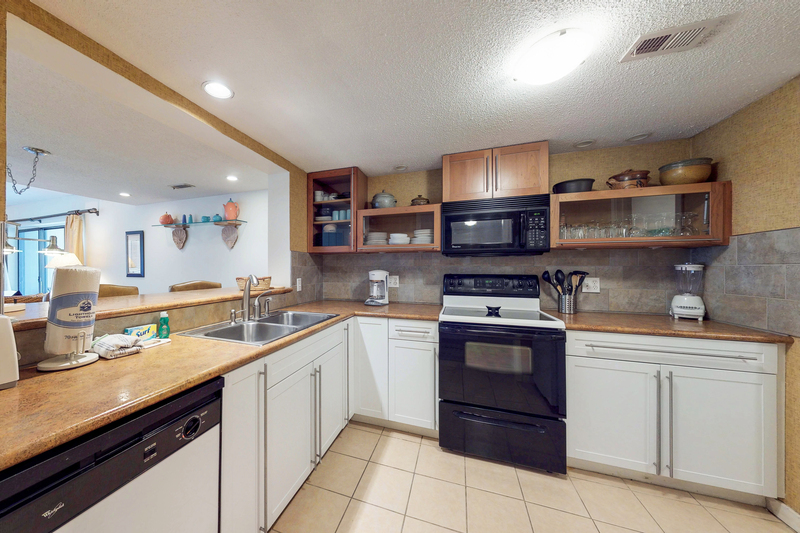 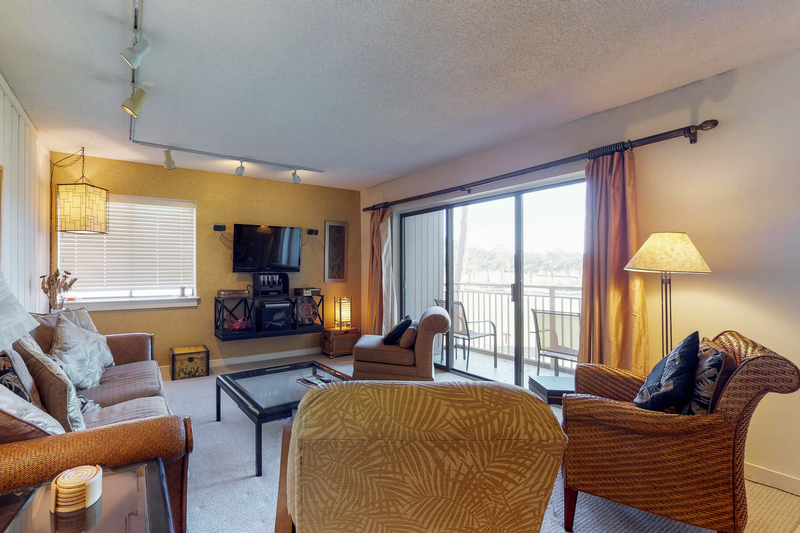 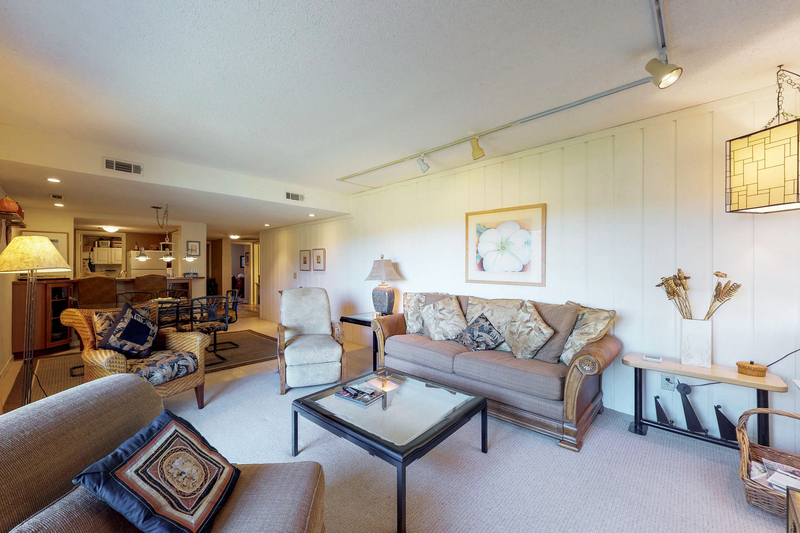 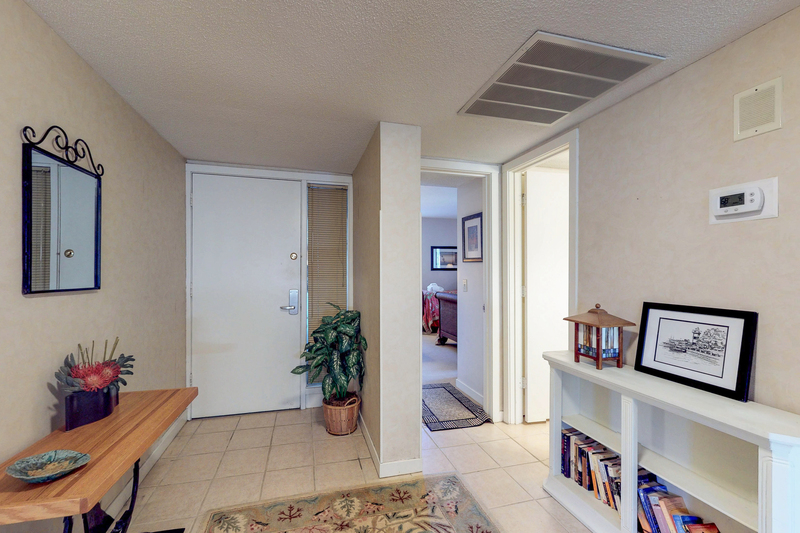 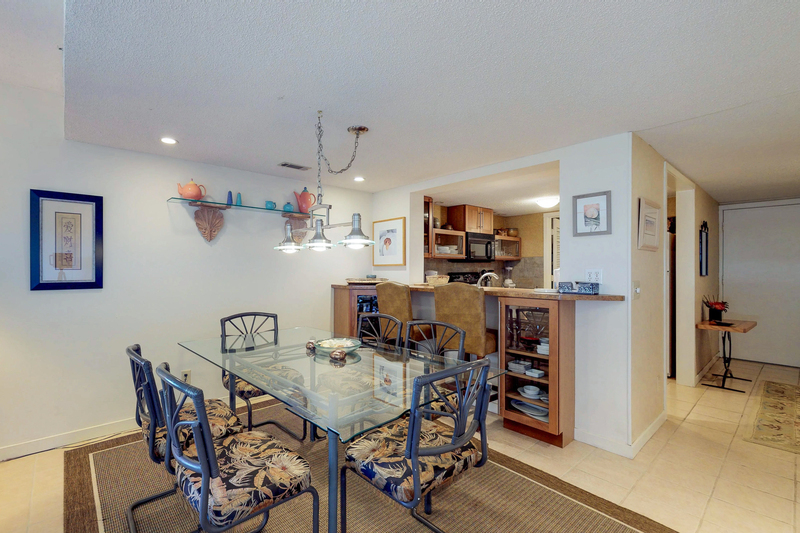 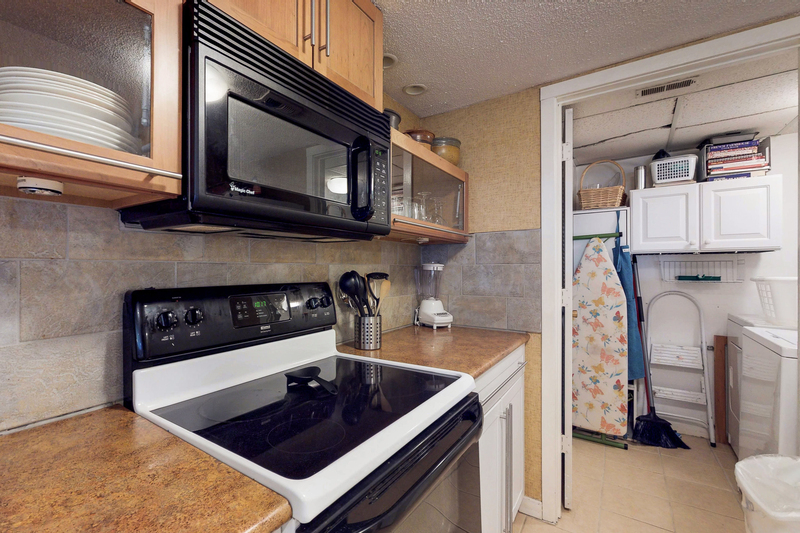 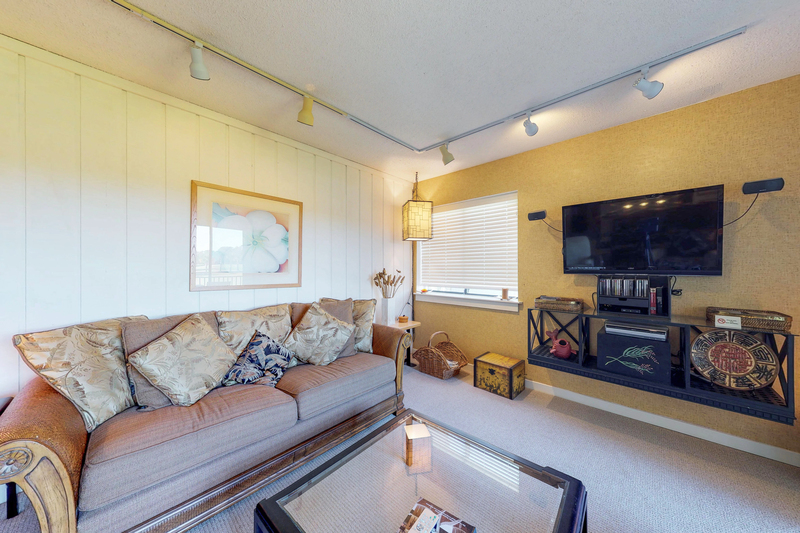 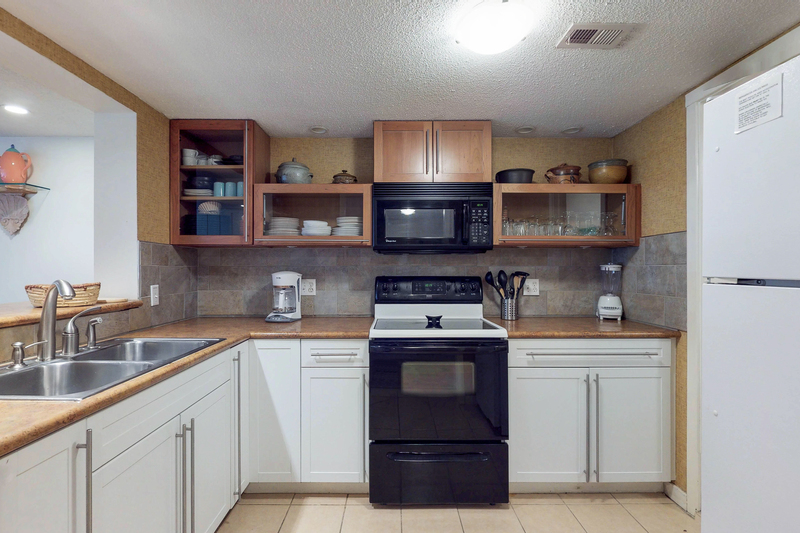 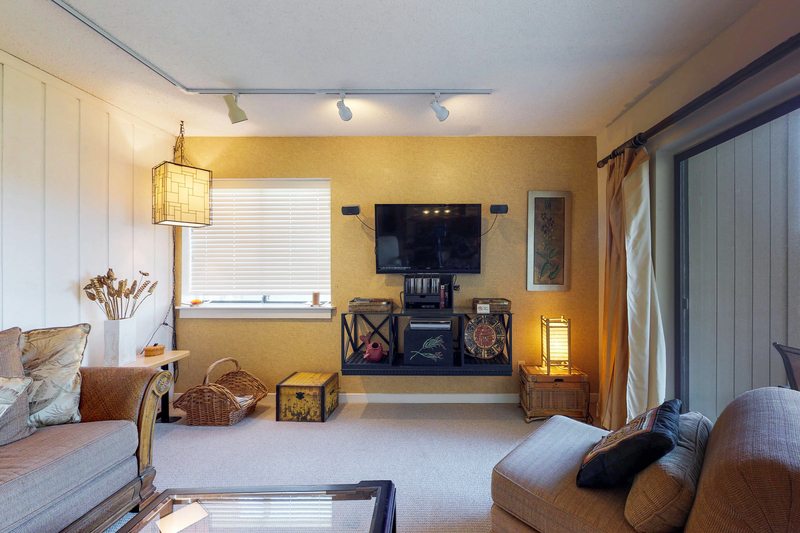 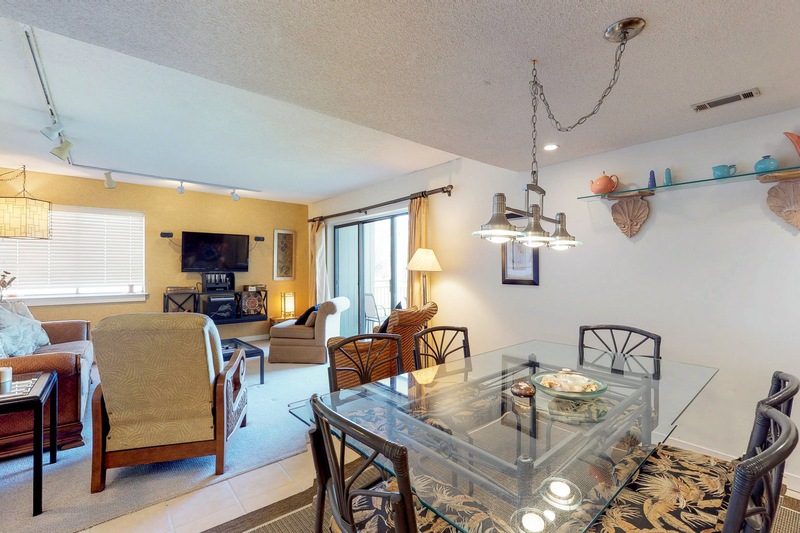 The spacious living/dining area features a 42" flat screen TV and small balcony. 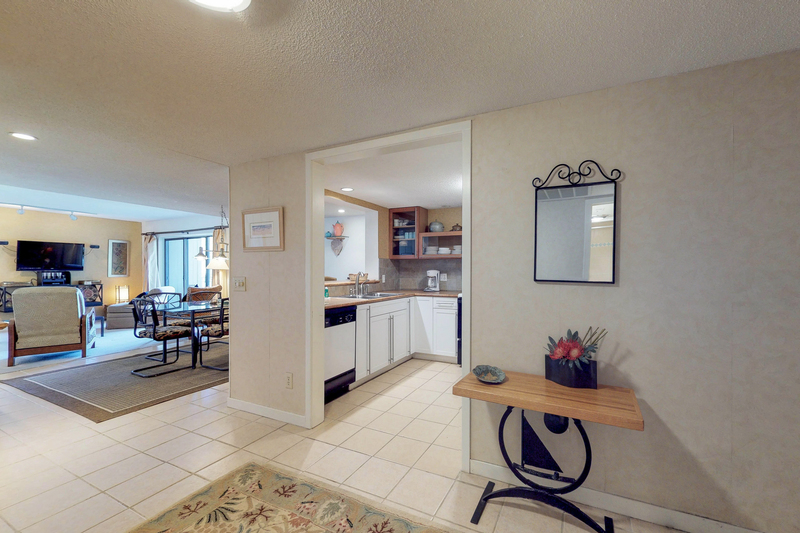 The kitchen opens up to the living area with a breakfast bar for additional seating. 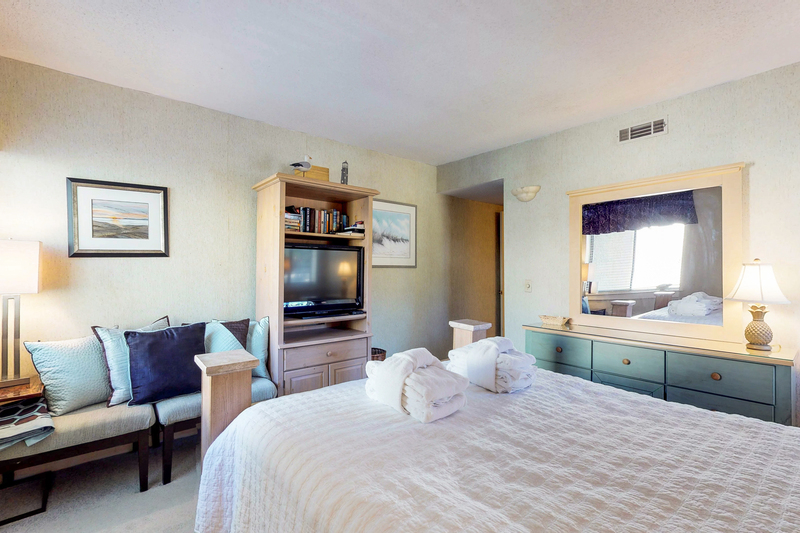 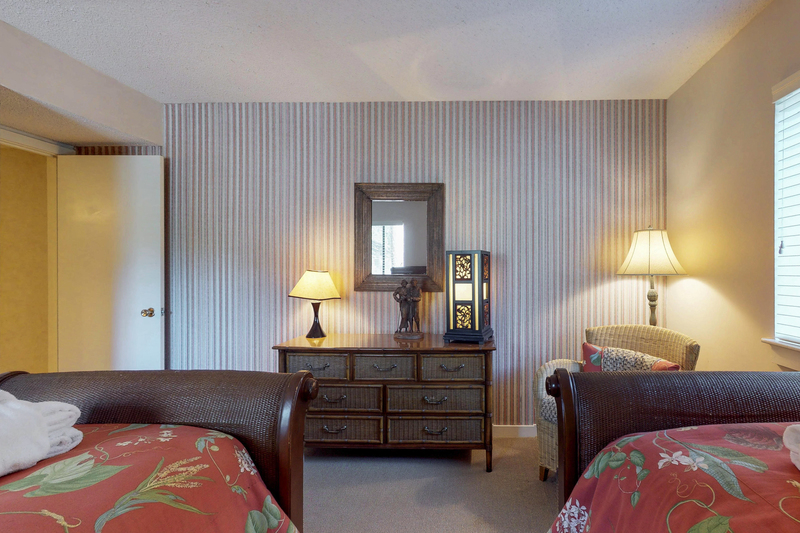 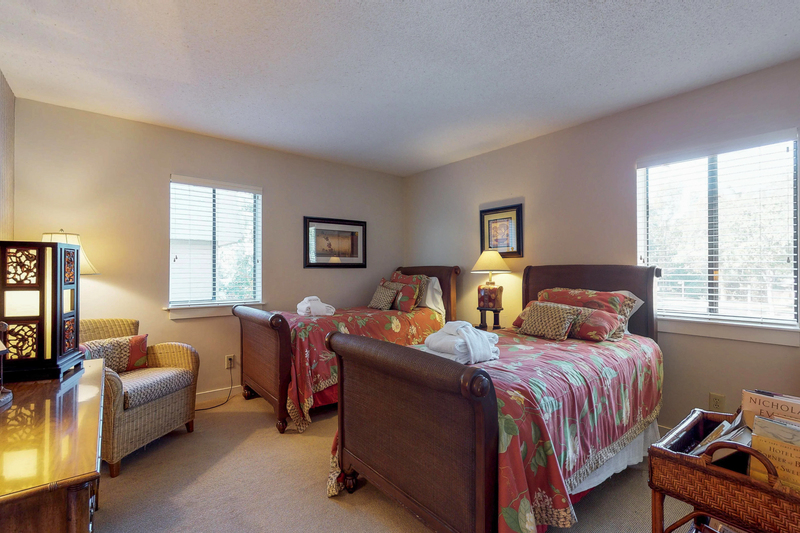 The master bedroom is furnished with a queen bed, 32" flat screen TV, and a private bath with walk-in shower. 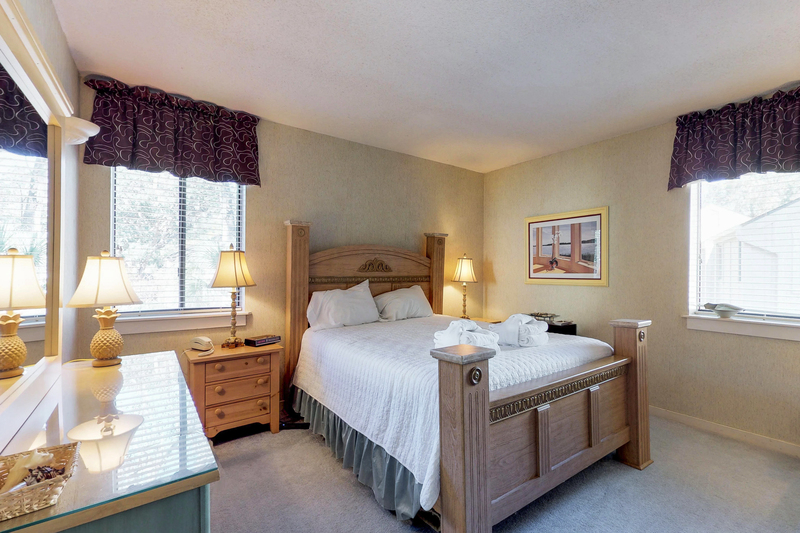 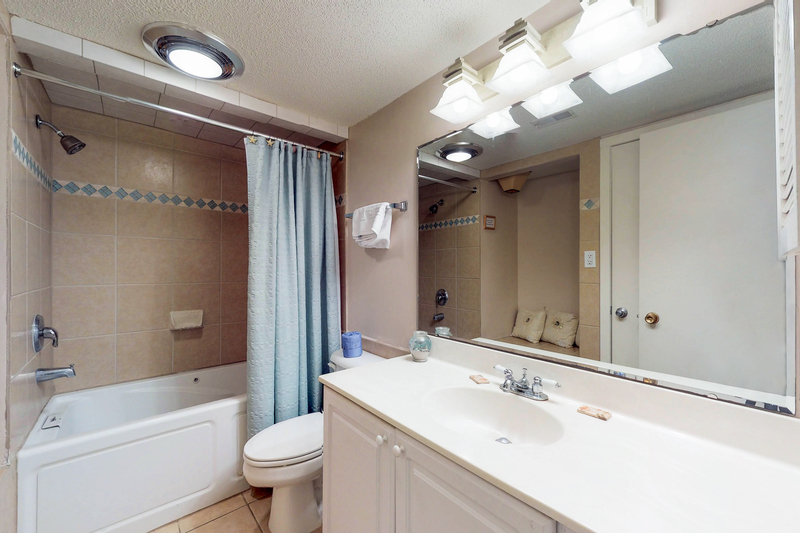 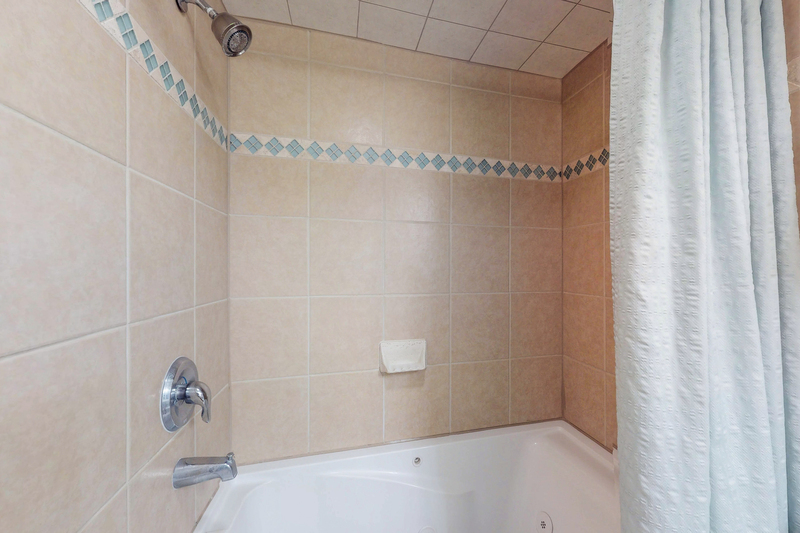 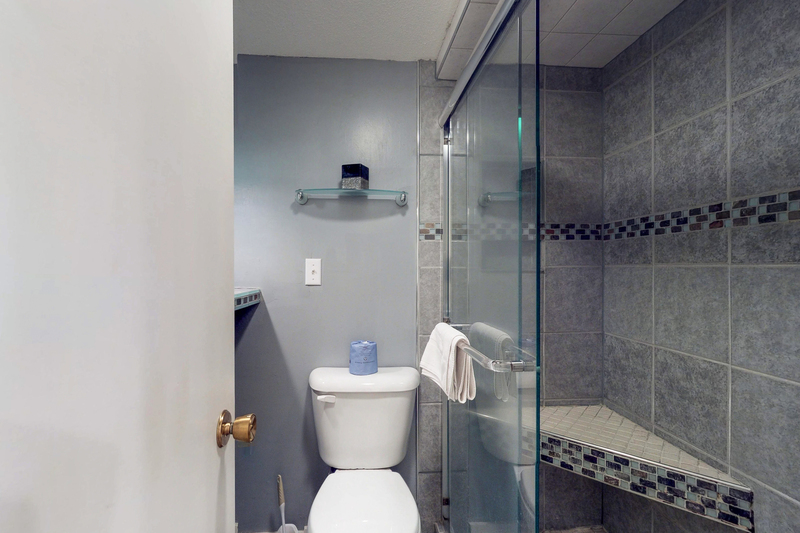 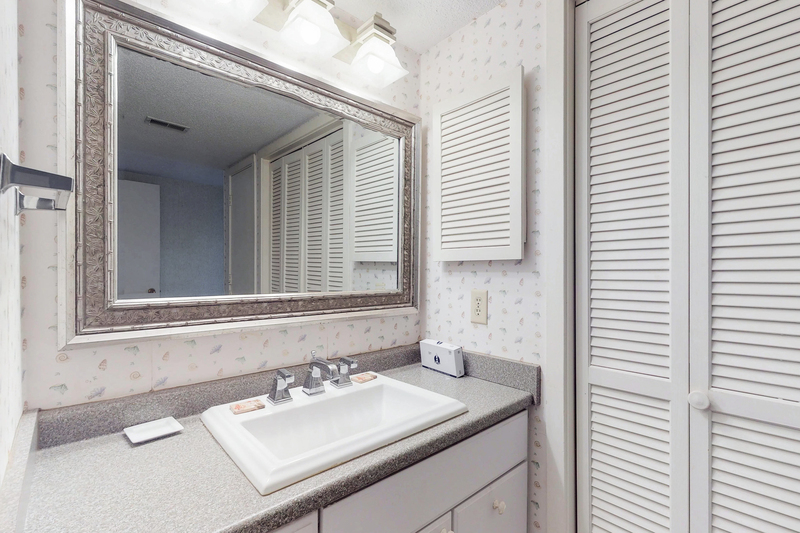 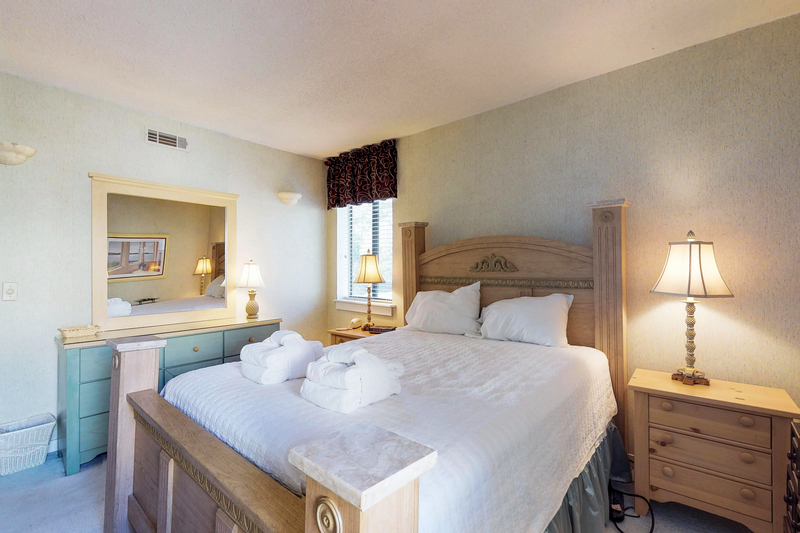 The guest bedroom has two twin beds and bathroom with Jacuzzi tub/shower combination. 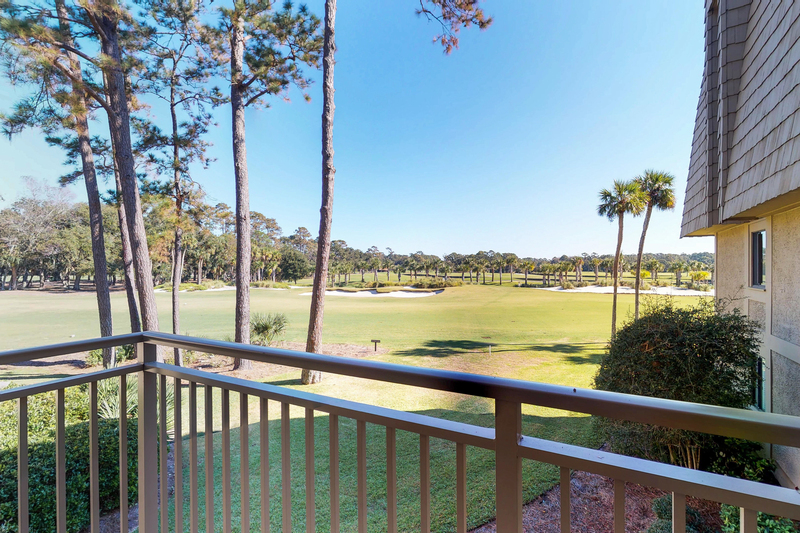 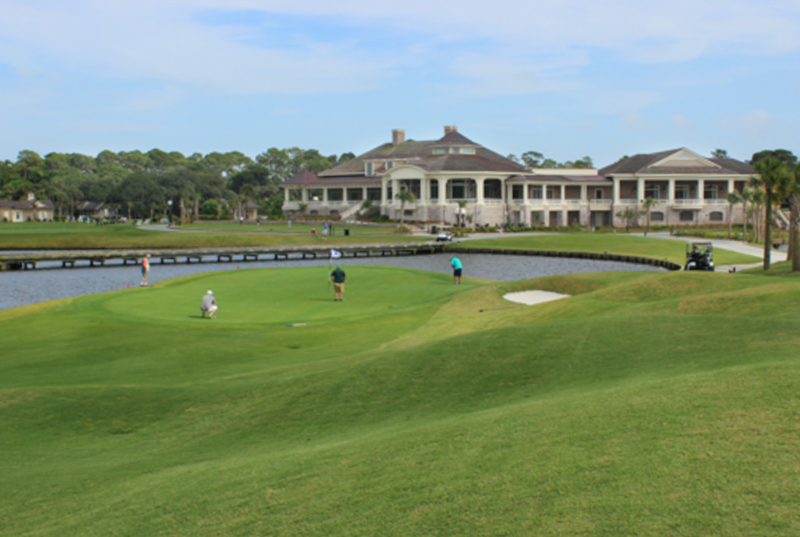 Plantation Club Villas offer townhouses and midrise flats located just blocks from the Sea Pines Beach Club and the Ocean/Heron Point Golf Clubhouse. 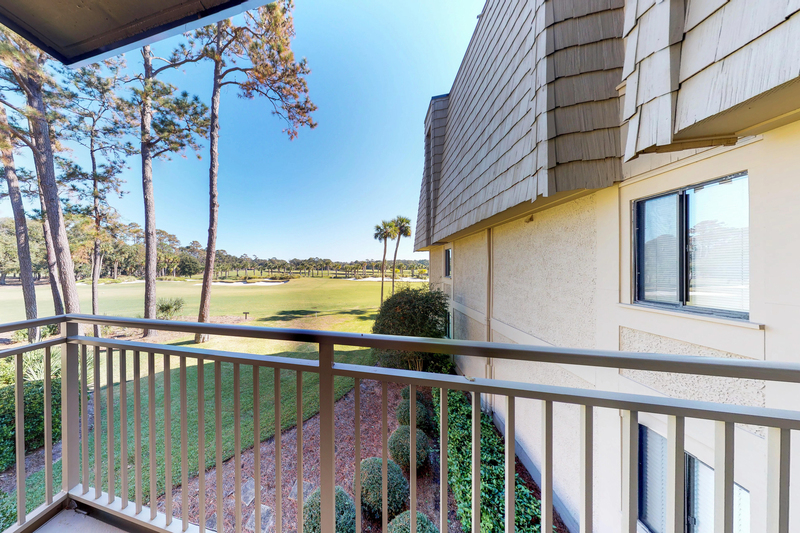 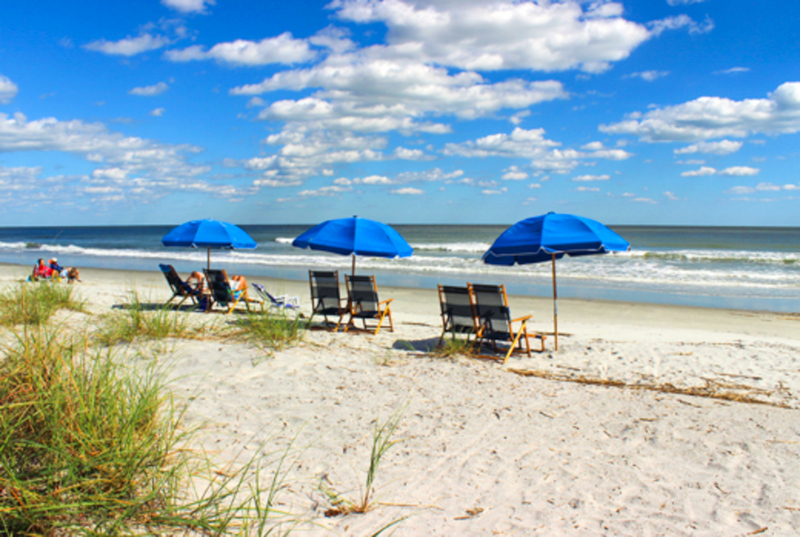 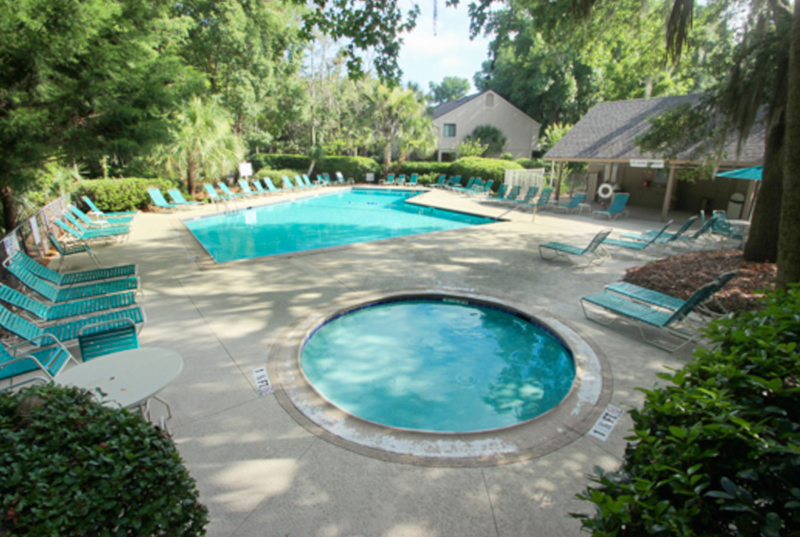 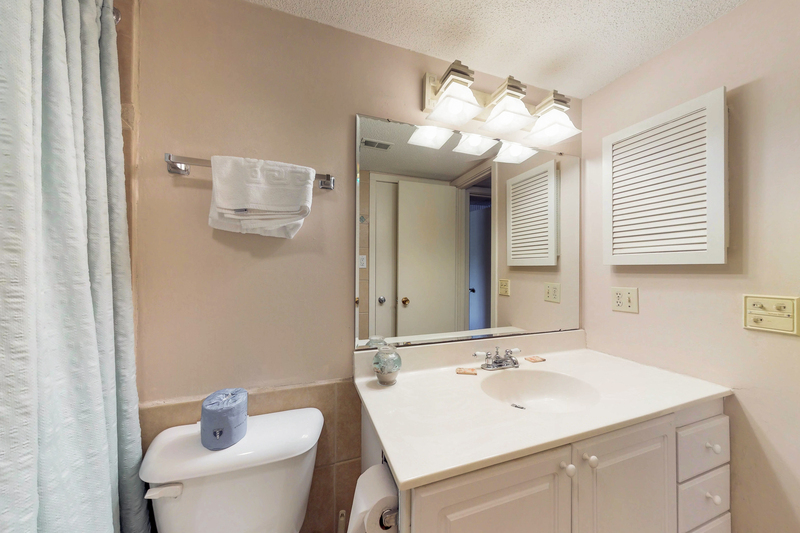 They are also a bike ride away from all Sea Pines amenities, including Sea Pines Center with shopping and restaurants, and Harbour Town. 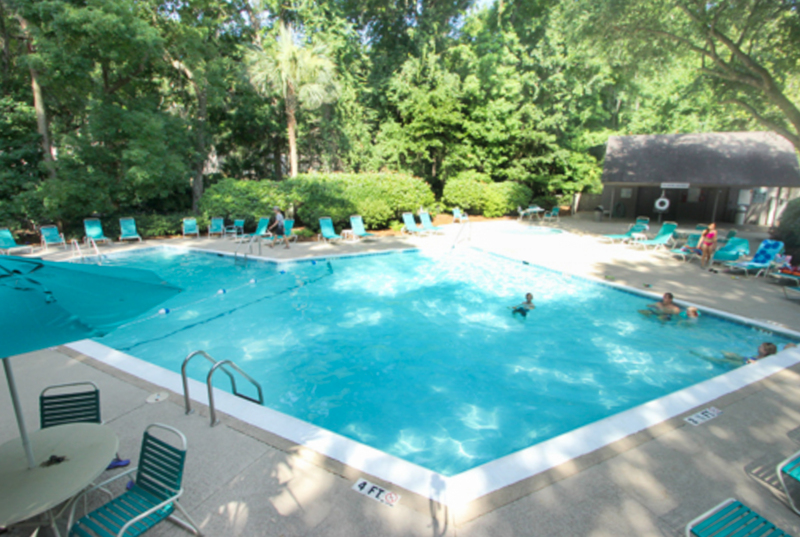 A complex pool is on-site for exclusive owner and guest use.